The best Whiskey Live event ever held at at Dublin Castle’s Print works & superbly organised by Ally McAlpine of the Celtic Whiskey Shop. We had a stand in the main hall, located between Nikka and the Dubliner. Trade visitors and consumers alike were able to taste our entire premium spirits range. Not surprisingly The Wild Geese range of Irish whiskey was very popular indeed – with just about everyone doing a vertical tasting of the Classic blend, Limited Edition and Single Malt whiskey. 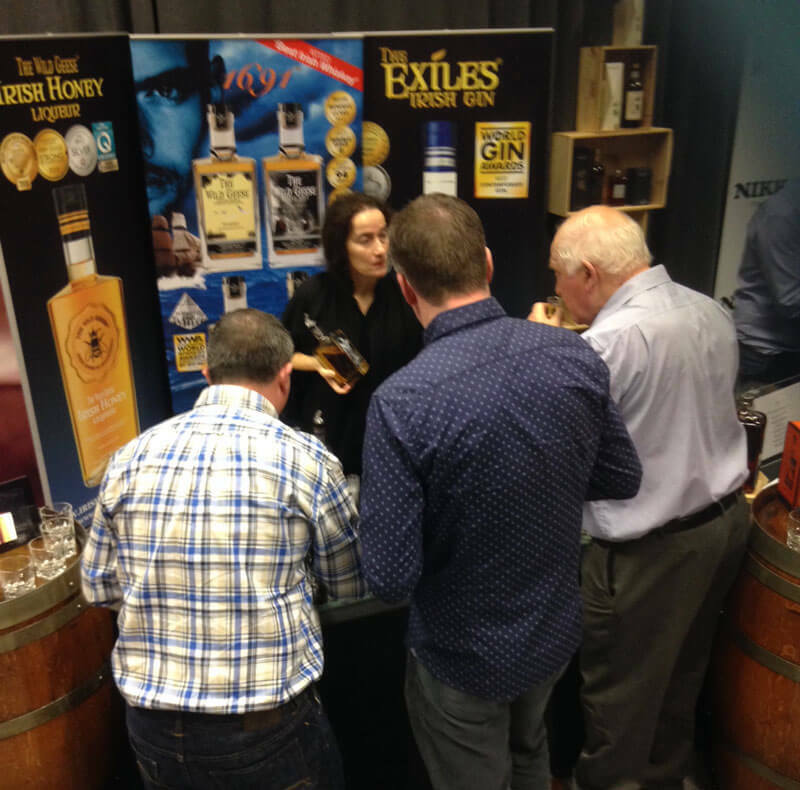 But what seemed to steal the show – and shows what a hot category it is becoming in Ireland and beyond – was the Exiles Premium Irish Gin. We did mix a fair few G&T’s using Fever Tree Elderflower tonic, but we also sampled the gin neat, and the consensus bar none was that the liquid was excellent and was sippable – not many gins can claim that. 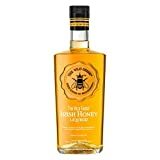 The Wild Geese Honey Liqueur also proved enormously popular, it being a fine balanced drink perfect solo or over ice. All products are available to order from the Celtic Whiskey shop which stocks all our brands, and all good liquor stores on request.